A recreational vehicle (RV) is an invaluable asset to every household as it allows the family to make trips anywhere they like and at any time. If you own an RV in Orange County, CA or the surrounding areas, you appreciate how important this vehicle is to your family’s wellbeing. For such an important vehicle, we understand the importance of proper care and maintenance. It is for this reason that at El Toro RV Service, we offer the best maintenance and RV collision repair services. 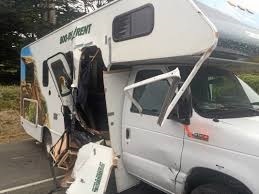 Even with the best care, we know that in the course of driving through the backcountry, your RV might suffer dents, scratches and other forms of physical damage. This is due to their unique design, big size and regular use in extreme environments. Our mission is to get you back on the road as fast as possible and guarantee you are safe. We are an established RV body shop with a long history in this community and our mission is to ensure every RV owner gets the best services for their vehicle. Our team of technicians is passionate about RVs and this drive pushes us to go an extra mile for our clients. If you have any problem with your recreational vehicle, don’t hesitate to call us today. Our commitment is to deliver beyond the expectations of our clients and this has helped us emerge the most recommended RV body and paint repair shop in Orange County, CA and surrounding areas. If you have just searched for a “RV repair collision near me” and you are in the area, don’t look any further. Talk to our team to receive and enjoy our 5-star RV repair service. For the last 35 years, the team at El Toro RV Service has been working in the industry and this makes us your best bet for reliable RV collision and restoration. The company started small but we have grown through consistent delivery of excellent services to the community. In this time, we have built strong relationships with RV owners in the area and we pride in getting many new clients from referrals. Each one of our certified auto technicians bring specialized skills to the team and this distinguishes us from the other RV services around here. If you want to bring back your RV to its former glory, we have the team to help you do it. To deliver on this promise, we have invested heavily in the latest repair and restoration technology. We are thus able to do a better RV body and paint repair and complete it within a shorter time. Our auto technicians undergo regular in-service training to keep abreast of emerging trends in the automotive maintenance industry and we are glad to apply these new skills in our job. To deliver on our 100% satisfaction guarantee, we have increased our range of RV services over the years. Our RV service team now offers a comprehensive range of RV repair and collisions solutions at our state-of-the-art Full Indoor Service Facility. We have invested heavily in the latest technologies in auto care to guarantee the highest standards in RV care. By delivering highly reliable RV care services, we have earned the trust of the best insurance providers including AAA, Allstate, Mercury, Progressive and Geico among others. When RV owners contact us, they know their vehicles are in safe hands and this makes our team proud. If you have any other RV collision and restoration concerns, feel free to talk to us. We appreciate that every vehicle is unique and you might have unique RV repair needs. 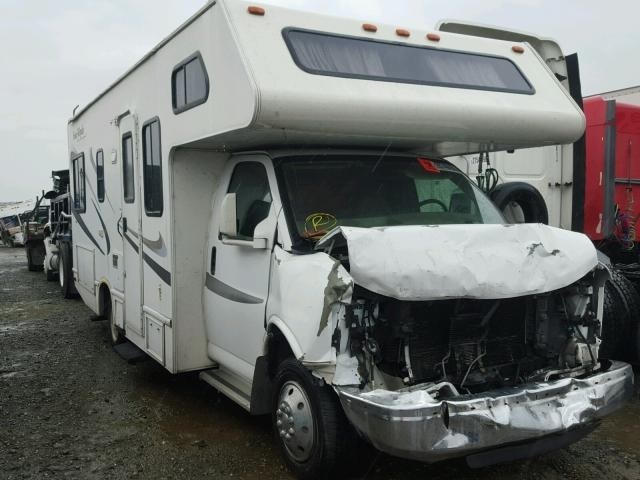 We offer custom RV collision repair to suit our client’s needs. This has helped us gain the trust of the local RV owners. Our auto technicians work closely with you to understand your needs and recommend the best repair plan. If you have just searched “RV body repair shops near me” around Orange County, CA we are glad to be of help. We offer a convenient pick-up and delivery service to save you the trouble of bringing your vehicle to us. Our customer service team is available 24/7 and we shall send a team to your location once you call us. Once we complete the repairs, we shall bring back the RV at no extra cost. We appreciate that you might not have time to bring your vehicle for repairs and we go an extra mile to ensure you get the best service. If you do a quick search for an “RV repair near me” in Orange County, CA you will get many results. While there are many services offering similar RV services, we believe our team has an advantage over the rest. We are old hands in this industry with over 35 years and we have the capacity and expertise to offer free estimates to our clients. If you are involved in an accident, don’t hesitate to call us for a free RV body and paint repair quote. Through our long history in the industry, we have built a strong network and we are in a position to help you with insurance processing. We know how difficult it is to deal with an accident and we endeavor to keep everything simple and get you back on the road as quickly as possible. If you have just searched “RV repair near me” in the area, we are ready to help you. Our team has the prerequisite technology and expertise to get your RV back in shape and on the road in no time. We promise prompt delivery of your vehicle at a suitable time. Accident do happen and this is something we understand. If you are stuck on the highway or the backcountry around here, talk to us for safe free towing. Our team will tow your RV to our facility for an assessment and repairs. Whatever the type of vehicle you own, we have experts to work on any collision damage and get it back on shape. We offer RV collision solutions for a wide range of brands ranging from Fleetwood, Jayco, Lazy Daze, Casita Travel Trailers, Host RV, Heartland, Thor Motor Coach, Holiday Rambler, pacific Coachworks, Crossroads to mention but a few. Need the best RV repairs around Orange County, CA? Get in touch today for a free quote. We are a one-stop-shop for all your RV repair needs. At our facility, we have the latest technology and a highly talented team of technicians offering a whole range of RV collision and restoration works. All repairs are in-house and we only use premium parts in case of replacements.If you have been involved in an accident around Orange County, CA and your RV needs some repairs, talk to us today. We are the most recommended RV body shop around here and our commitment is to get you back on the road as fast as possible. We are passionate about RVs and we invite you to try our expertise at our state-of-the-art facility.